Are you ready to experience the unexpected, and perform ON THE EDGE? You’d better be, because we are only accepting applications for our 2019 festival lottery from now until November 30, 2018. To put your name in the hat, read the information below and fill out the form (Yay! Forms!). To be eligible to participate in the lottery, you must submit the completed and signed 2019 Lottery Application form along with a $25 CAD non-refundable lottery fee by the deadline date. There is a limit of one application per artist/company and the person designated as the Contact Name on an application may not be the Contact for more than one artist/company. Artists/Companies that submit more than one application will be disqualified from the Lottery. Artists/Companies and Contact Names cannot be changed once entered. Applications and lottery fees may be sent by mail or submitted electronically to info@ontheedgefringe.com. The lottery will be held at our Lottery Party in December. Our fringe team members will take turns drawing names (from the aforementioned hat) until we have filled all 12 of our venue slots. The remaining names will then be drawn to form a waiting list in case some of the lottery winners are unable to participate in the festival. The lottery winners will be contacted following the lottery to confirm their participation, and the results will be posted on our website and social media as soon as possible. Lottery winners may not transfer or sell their slots to other artists/companies. The winners of the 12 venue slots will be contacted shortly after the lottery to confirm their participation in the 2019 festival, which runs from August 13th – August 17th, 2019. Should any winner be unable to participate, their spot will be offered to the next lottery applicant on the waiting list. To participate in the festival, all venue slot holders will be required to pay a participation fee of $250 CAD by January 30, 2019 to help cover the costs of technicians, promotions, and coordination for the festival. Participants may withdraw in writing from the festival at any time up until May 1, 2019 to receive a full refund of their participation fee. No refunds will be given for participants that withdraw after this date. The maximum slot length for each performance is 90 mins (which includes 60 mins for each performance and 30 mins for set up and take down). Festival participants are solely responsible for the creation and presentation of their work, and have full creative control over their performance (in accordance with all applicable laws). The festival will not censure artists, however, performances with explicit, mature or sensitive material are asked inform the festival so that information can be included in our promotional materials. The festival will provide a minimum of 1 technician per venue, as well as basic audio/visual equipment. Participants will be required to bring/obtain any additional equipment or materials necessary for their presentation. Participants are also responsible for securing the rights to perform works that are not their own and for paying appropriate fees and securing releases in accordance with any unions or associations they belong to. All venue slot events are ticketed, with ticket prices set by the performers and ranging in price from $10 to $15 CAD. Audience members without valid tickets will not be admitted to the performances. The festival handles all ticketing both at the door and through the Capitol Centre Box Office, and retains a $2 CAD handling fee to cover ticketing costs (additional fees apply for tickets purchased online through the Capitol Centre’s website). All the rest of the money from ticket sales goes directly to the performer(s). For example, if your show sells 200 tickets at $10/ticket the festival keeps $400 and you take home $1600. Not bad for a week’s work. In addition to single tickets, the ON THE EDGE fringe festival reserves the right to distribute festival passes to our volunteers, media representatives, and major festival supporters giving access to all festival shows and events. All participants will be required to submit information about their performance including the title and length of their show, the names of their performers and production team, a brief synopsis of what their performance is about, and an image. This information will be used to promote the performance online through the festival’s website and social media, in any advertising (print and online), through local media outlets (newspapers, television, and radio) and flyer/poster distribution, and in the festival programme. 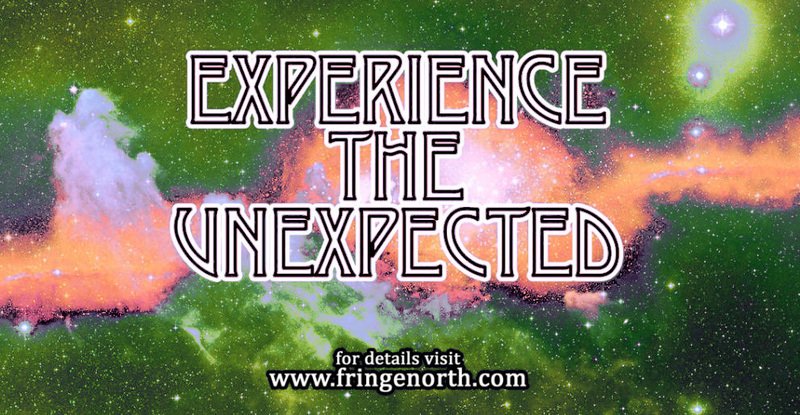 For more information about the 2019 ON THE EDGE Fringe festival, please check out our website www.fringenorth.com or contact our Artistic Director, ­Kelsey Ruhl by email at kelsey@ontheedgefringe.com.